If you like to buy some chocolate bars, hazelnut chocolate spreads, and more then you came to the right place. You can make use of exclusive Lindt offers and special discounts so that you can stick with your financial plans. Get only top-notch delicious and mouthwatering chocolatey goodies that will surely satisfy your needs and wants. Get access to awesome product options from reputable and famous UK retailers such as TK Maxx, Poundshop, and more. 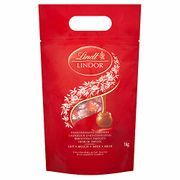 Here at Latest Deals, we have gathered the best cheap Lindt offers, deals, and voucher codes. Valentine's Deals, Lindt Chocolates & Prosecco! The most delicious Lindt chocolate offers you can find online! In the year 1879, Rodolphe Lindt, the son of a Bernese pharmacist, aimed to create a chocolate. It was still hard during those times. Processing them to be eaten and enjoyed was still a big challenge, and things did not go well for them during those times. Lindt knew very well that the key towards the making of the best chocolates is attention and patience to deals. This art is offered by the creator towards its customers. Hence, the company ensures that it only manufacturers its products with a tenfold amount of care. This is the time when Lindt exerted efforts in giving such to their consumers. This brand is known for the production of white and dark chocolates. What makes them unique is that they come with substantial nutritional contents as well. This becomes possible because Lindt gives the health of their customers really high value. Everyone is surely aware eating chocolates occasionally come with benefits as well. 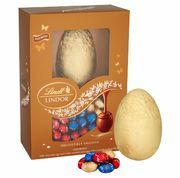 Satisfy your Lindt cravings without hurting your wallet with the help of Latest Deals. 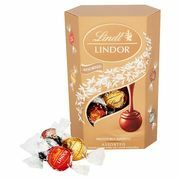 Find Lindt chocolate offers including cheap Lindt chocolate truffles, Lindt chocolate balls. Lindt spread UK, Lindt pick and mix, Lindt Baileys and more. We have all the best Lindt chocolate offers available online that will surely provide you with the sweetest savings around. Our community of bargain hunters are always on the lookout to find the best cheap Lindt brands sale, special offers, discounts, and price drops. We also have a team of money-saving experts who regularly share essential tips and tricks that will be able to help you save on your instore and online shopping. Most online UK retailers have sale events, seasonal clearances, and flash sales where you can save as much as 30% off on all Lindt brands products. They also have offers such as 3 for 2 and any 3 sweets for a pound. Watch out for their Black Friday and Boxing Day deals where their prices are reduced even further. If you want to maximise your savings, make sure to use the latest Lindt discount codes we have here. We also have Lindt voucher codes where you can get freebies or free shipping. Lindt Excellence Bar (Dark Chocolate 90% Cocoa). Cocoa powder, sugar, vanilla, cocoa butter and chocolate - these are the main ingredients of Lindt Excellence Bar. While it would really take a sophisticated taste for this to be appreciated, this bar is highly suggested because aside from the fact that it is not expensive, it is also rich and flavour and taste. Lindt Excellence Bar (Dark Chocolate 85% Cocoa). This is an exceptional dark chocolate with 85% cocoa. Thus, the bar embodies the true sense of cocoa beans and this is where their flavours are robusted most especially felt by our dark chocolate enthusiasts. This Excellence bar is perfect for people who are into low carb diet. You do not have to worry about this because it would not make you feel as if you ate a sugar jag after. Lindt Excellence Chocolate bar 70% Cocoa Smooth Dark. Lindt never fails to deliver a unique chocolate experience for everyone, and this is proven by this Lindt Excellence Chocolate Bar 70% Cocoa Smooth Dark. When it comes to a distinctly smooth and rich gourmet taste, this one is the best. You can indulge in this irresistible and luscious chocolate bar today. Lindt Excellence Bar (Dark Chocolate Intense Orange). Orange and dark chocolate are the combination many people may not see coming. Together, they really go well. Expect for this chocolate to be rich, smooth and creamy as compared to many other chocolate bars out there. Some would call it bittersweet or semisweet because of the said mixing. It offers a different kind of punch you would definitely enjoy. Lindt Excellence Smooth Dark Chocolate 70% Cocoa Bars. Prepared by Lindt’s Master Chocolatiers, the the Smooth Dark Chocolate Cocoa Bars are completed with the highest quality cocoa beans that usually result to the finest textures and tastes. These chocolates are known to offer nothing but perfection. Be the first to experience the ultimate union of the finesse and force that are of elegant and intense flavours, lingering taste and fine texture. Discover this and it would surely linger on your different senses. Lindt Excellence 90% Dark Supreme Chocolate Bar. If you are craving for chocolates but is afraid to the dangers sugars might bring you, then this chocolate bar from Lindt is the one for you. Containing only 5 grams of sugar, this whole huge bar will satisfy your cravings without the guilt. The cocoa content of this is really high. If taken once in a while, you can expect for it to be good for your body and overall health. Highly nutritious. It also comes with a decent number of soluble fibre which is packed with minerals. It includes stimulants such as theobromine and caffeine but the amount is small as compared to that of coffee. The best antioxidant. It has been said that raw and unprocessed cocoa beans score high when it comes to featuring antioxidants. Thus, dark chocolates are loaded with various organic compounds that are biologically active. This is why they would function as antioxidants later on. They have flavonoids, polyphenols and catechins. Improves blood flow and lower blood pressure. There are studies which manifest that dark chocolate and cocoa have the ability to improve blood flow and lower blood pressure. Reduces the rate of heart disease. When you eat dark chocolate more than 5 times per week, you somehow lower your risk of getting a heart disease to more than at least 50%. While there are still more studies to prove this, it is possible to lower blood pressure and oxidized LDL when eating dark chocolates. Protects you from the sun. Lindt has bioactive compounds which may be great for the skin. The flavanols are responsible in protecting a person against sun damage. It may also improve the blood flow directed to the skin so that it may increase hydration and skin density.